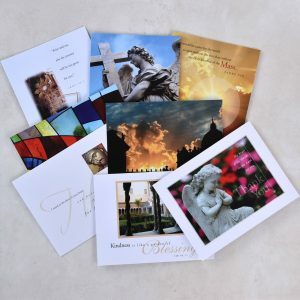 Great gift idea... especially for Confirmation! 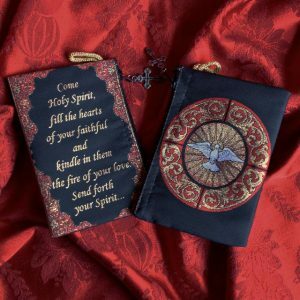 Two-sided striking, tapestry rosary pouch. 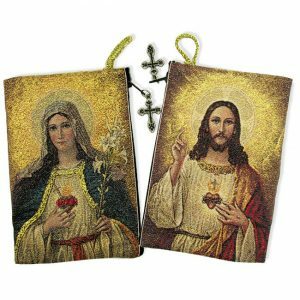 Buy one for your rosary and another for a change purse to keep your credit card/debit card, cash and change in - it's a beautiful witness when you go to pay at a store or restaurant. 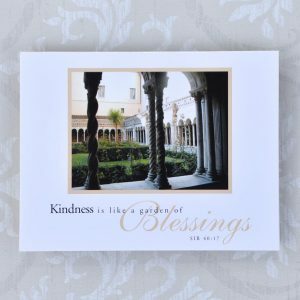 Customers have received many compliments! Don't be surprised if the cashier or waitress asks you where you got this. And... It is a way to talk about the faith! 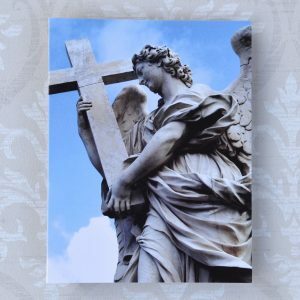 You can also use this to hold your pix to bring Communion to the sick. 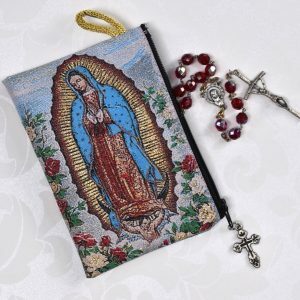 Rosary not included. Great gift idea! 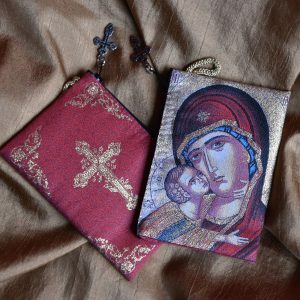 Two-sided striking, tapestry rosary pouch. 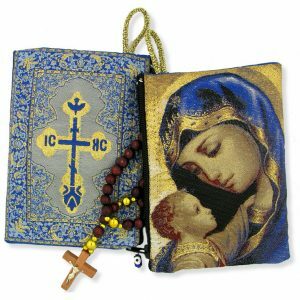 Buy one for your rosary and another for a change purse to keep your credit card/debit card, cash and change in - it's a beautiful witness when you go to pay at a store or restaurant. 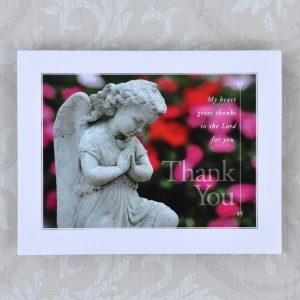 Customers have received many compliments! Don't be surprised if the cashier or waitress asks you where you got this. And... It is a way to talk about the faith! You can also use this to hold your pix to bring Communion to the sick. 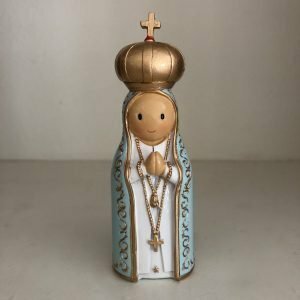 Rosary not included.